Product prices and availability are accurate as of 2019-04-21 16:11:52 EDT and are subject to change. Any price and availability information displayed on http://www.amazon.com/ at the time of purchase will apply to the purchase of this product. Suit up with the entire collection of Crysis games. The nanosuit: it's more than just a badass look. 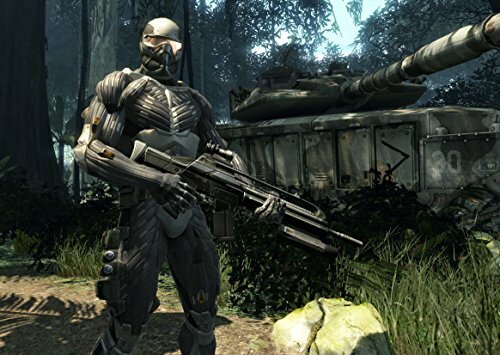 This futuristic, hugely capable wardrobe has been a part of the Crysis franchise since the absolute beginning. You haven't experienced it yet? We've put together all the greats in the Crysis series together so you'll know just how downright handy this nanosuit can be. 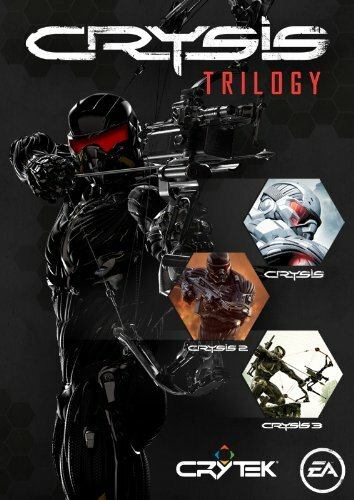 Get caught up with the Crysis Trilogy. This bundle, several dozen hours of non-stop action, includes all the great futuristic Nanosuit-enhanced first-person shooter the series has been known for. Over the course of three entire games you'll witness first-hand the evolution of an alien invasion and its effect on earth, both in fleshed-out single player campaigns and expansive multiplayer experiences. Over the course of three games you'll leap from the freshly devastated cityscapes of New York City to the the same metropolis completely overgrown under a lush rainforest. Use stealth attacks or over-the top firepower. 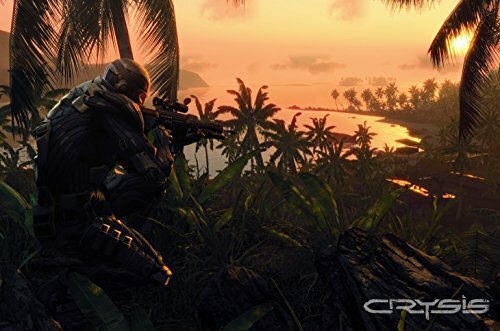 Every intense moment in the Crysis franchise is included in Crysis Trilogy. Suit up. • Single player campaign: Follow Earth's devastation and the alien invasion in the extensive storyline across all three games in the Crysis Trilogy. • Multiplayer focus: Every game included in Crysis Trilogy features enormous replay with multiplayer modes, maps and weapons. • The Complete Crysis Experience: Every moment is included in this must-have bundle. The original Crysis continues with the Crysis Warhead expansion, and the Crysis 3 action keeps churning in the Lost Island DLC. Please note: Online multiplayer support for this game is provided by GameSpy and they are deactivating these services. This change will not affect the single-player campaign or any additional Origin features. For more details, please read EA’s online service updates page (http://www.ea.com/1/service-updates). The Ceph threat is spreading, but you aren't about to hand Earth over to an invading alien race without a fight. You've got a Nanosuit, a versatile and advanced piece of military technology that helps you run faster and strike harder than your opponents. The Complete Crysis Experience. Every moment is included in this must-have bundle. Please note: Online multiplayer support for this game has been deactivated by GameSpy.